Every month, we will prepare a carefully curated box of about 5 lbs. 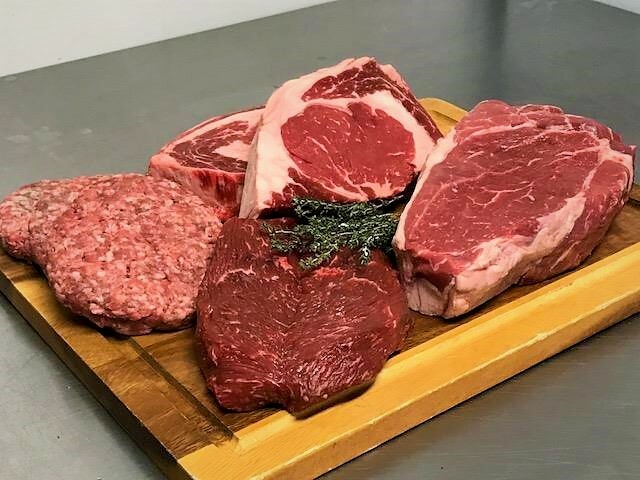 of our grass-fed beef, including a selection of our premium steaks. Antibiotic and hormone free, of course. 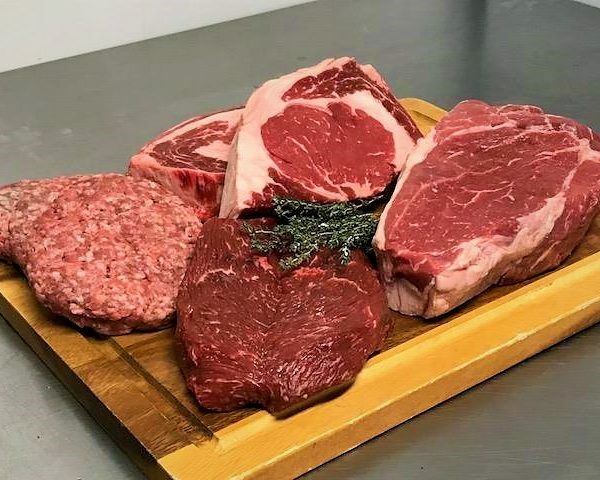 Each Individual Share includes about 5 lbs of regular and premium steaks, ground beef or burger patties, and beef roasts or stir fry.